An update to Vol. 4, pp. 1464–1473. The rapid development of the modern city of Tiberias over the second half of the twentieth century necessitated many salvage excavations throughout the municipal area, most by the Israel Antiquities Authority, formerly the Department of Antiquities. The vast majority of the remains is from the Roman period or later, although some finds antedating the Roman period emerged as well. Discussed in this entry are only the main Israel Antiquities Authority salvage excavations and surveys conducted within Tiberias (not including Hammath Tiberias) until 2004. 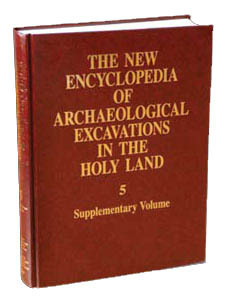 Excavation sites are referred to by numbers and tombs by letters. SITES WITH PRE-ROMAN REMAINS. In 1951, P. Bar-Adon and B. Ravani reported Chalcolithic period and Early Bronze Age I remains at a depth of 3.8–5.5 m below the surface in the area between the Muslim cemetery (Sitt Sakina) and the Imhoff sewage facility, today the sewage purification plant (site 1). Pottery from these periods had previously been found in caves on Mount Berenice. In the 1960s, a large Chalcolithic stone incense altar weighing approximately 40 kg was brought up from the bottom of the Sea of Galilee, about 70 m from the Tiberias shore. These finds are also consistent with the results of the archeological survey conducted on Mount Berenice (site 2) and in its caves (site 3) during the 1980s by Y. Stepansky and O. Cohen, who found evidence that the caves were in use and the upper part of the mountain settled by the Chalcolithic period. Khirbet Naṣr ed-Din, a site situated today at the edge of Tiberias’ new western neighborhoods (site 4), surveyed a number of times in the past, yielded a large number of sherds from the Early Bronze Age IB.